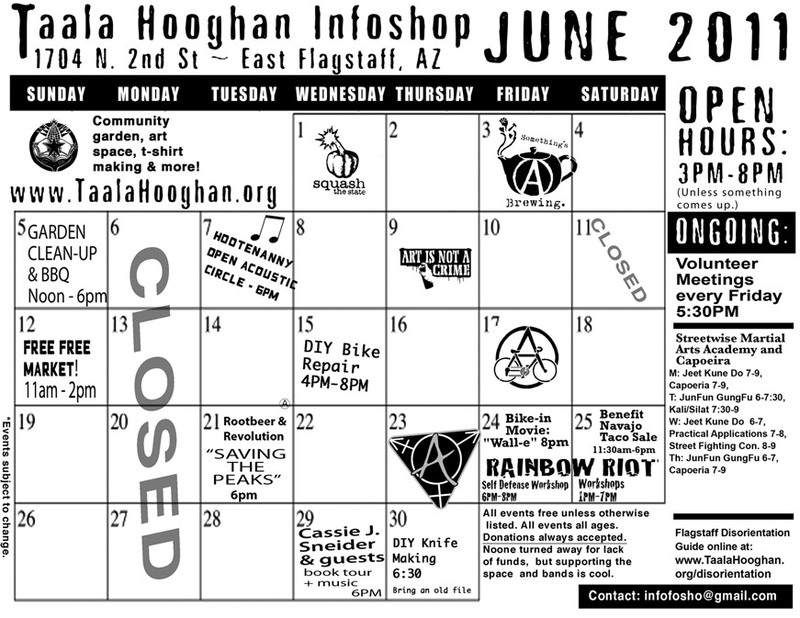 Ongoing: Volunteer meetings every Fri. at 5:30PM – come get involved in this radical community action resource center. We’re forming new committees to spread out the work… it’s a great time to join up! Chair Massage & Yard Sale in the morning! Yard Sale in the morning! Come celebrate the release of The Yáadihla’! Girls Vol. 1 with food, music, and featured readings from the ’zine. Who are The Yáadihla’! Girls? 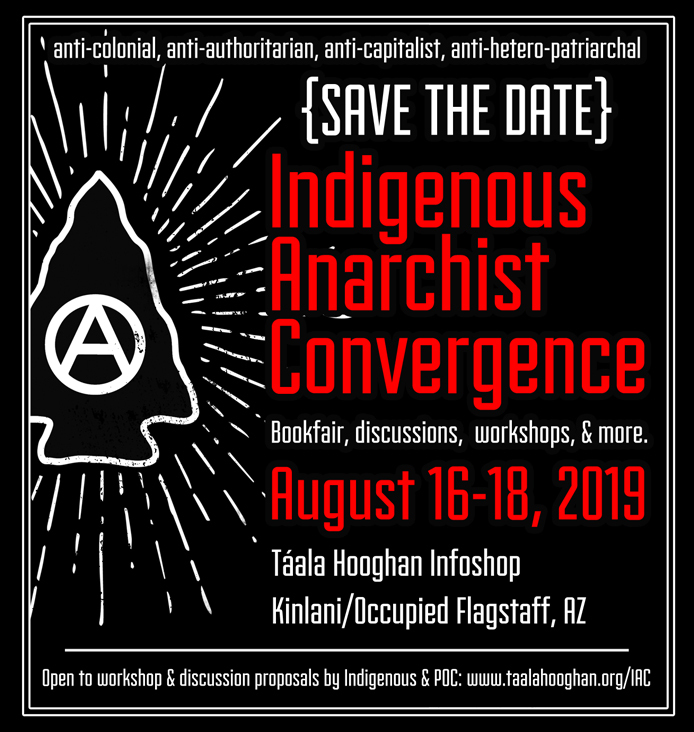 We represent the avant-garde Indigenous woman who is intent on sharing her collective experiences, whether they detail the struggle of traditional customs vs. modernity– or frybread, through lively storytelling and other mediums of creative expression. 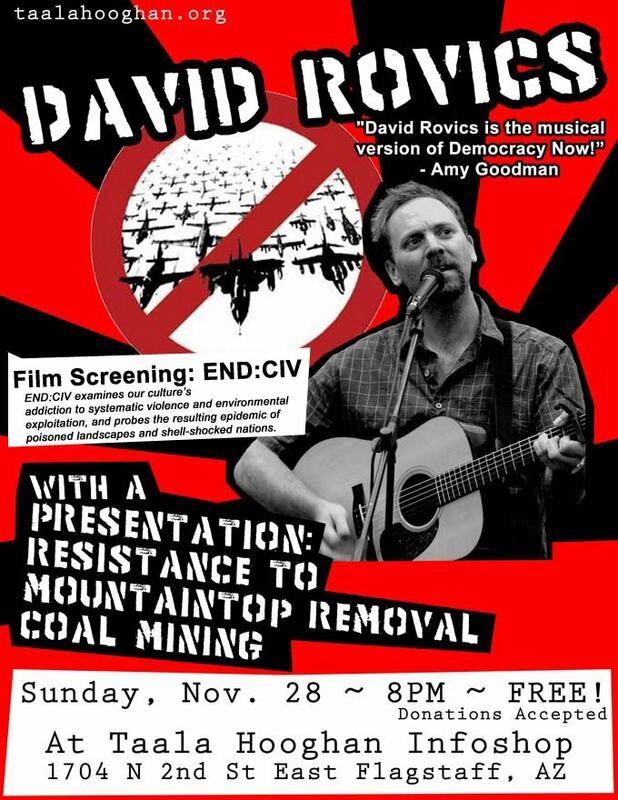 We invite you to join us for an evening of good food, featured readings, music, and discussion. Please RSVP on our Facebook event page. 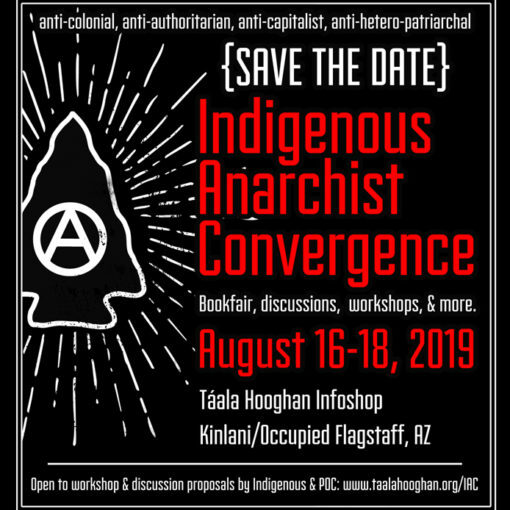 Representatives of the Diné Policy Institute will address; the lack of access to fresh, affordable and healthy foods on the Navajo Nation, rebuilding a local food economy, as well as looking at how to promote traditional foods and agriculture. One of the main objectives under their initiative is to also develop a Food Policy recommendation to the Navajo Nation Council. A speaking tour with a cart full of books. 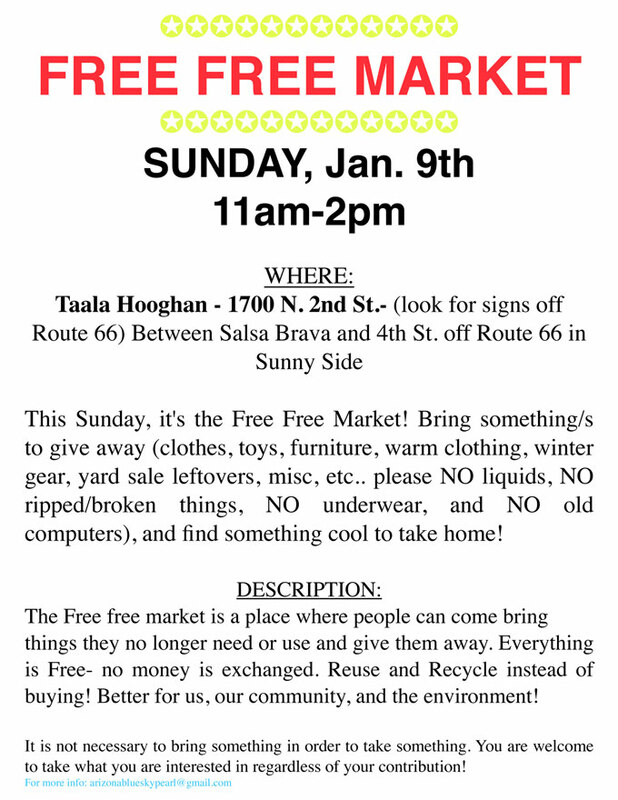 Free Free Market this Sunday!